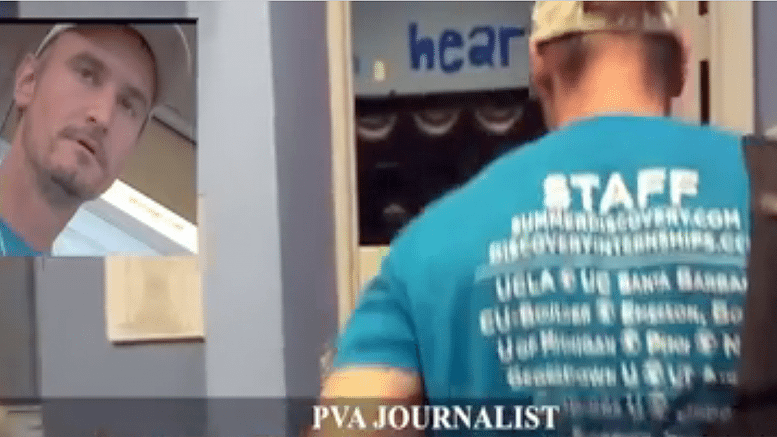 Project Veritas did some of their usual great hidden camera investigative reporting, with Hillary Clinton campaign workers, engaged in voter registration. They reveal a bias against registering Republicans, which is not surprising, on the part of the Democrats. They aren’t supposed to destroy the registration forms, though. At the first part of the video a worker identified as Mark Hodges, a Hillary Clinton field organizer, describes “bolting” when he encountered what he took to be a Trump supporter. He headed for the other side of the parking lot, avoided contact and having to register the enemy. Trevor Lafauci is a campaign coordinator for the Clinton campaign. He explains that those who want to register as Democrats are offered the opportunity to vote by mail. If they want to register as Republicans, the offer is not made. Voting by mail is just too easy and extending that same opportunity would have the effect of eliminating a Democrat advantage. Why would they fight voter ID laws tooth and nail and then not utilize them to commit voter fraud? 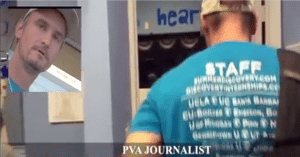 A Project Veritas reporter told Mr. Lafauci that he had ripped up three Republican voter registration forms or ballots, and asked if he would get in trouble for doing it. He was reassured by Mr. Lafauci that he would not get in trouble and that it would not be reported to anyone. He thanked him for being conscientious enough to report it to him. He makes his small talk and excuses for effect and then asks Lafauci one last time if he’s “cool with it.” Lafauci says that he is, as long as the reporter doesn’t make a habit of it. He plays dumb, saying, “I’m not sure what you’re talking about.” He’s reminded of the earlier conversation with a “Project Veritas reporter named Max,” whom he denies knowing. The reporter asks how he respond to video if he had it in his possession with Lafauci talking to Max and telling him it’s okay to rip up Republican ballots and that he wouldn’t be reported, asking him if he doesn’t want to comment on that. As he reminds him of the comment about not making a habit out of it, the second bolt of the video is engaged in, as he heads for the parking lot and the safety of his vehicle.